Amazing product. I purchased the Sapphire and Perfectio and received the moisturizer as a bonus. I’m a Carribean woman, 34 yrs old, with a newborn who tries to live the healthiest lifestyle possible but still suffers from acne and oily skin, I must say that this moisturizer is a God-send. Oily skin has disappeared and it only took 2 weeks to notice the difference. Thank you! I even purchased the eye serum and firming cream along with the syringe and night cream. I received all these products mid-March in Toronto’s Fairview Mall (Sheppard/Don Mills) with the help of the lovely Shawna. Best moisterizer ever! Soft, creamy, Makes my face feels so soft and it smells wonderful… I am in! I do a lot of sports on the Chicago Lakefront, and the winds here can be very harsh on the skin. Sometimes it gets so bad that my skin peels because it’s so dry. If it weren’t for my mother, I honestly wouldn’t have come across this moisturizer. (My mother’s one of those mom’s who — you know — thinks that a single, successful professional like me shouldn’t walk around with peeling skin, lest I scare away all those elusive unmarried men in their 30s and 40s). She convinced me to try it out, so here I am, two months later. Thank you, Venofye. I’ve never known my skin to be so soft and smooth, and it very rarely peels now, even when I bike, run and sail (sometimes all three in one day). I’m generally not a fan of putting stuff on my face, but this is an exception. I like that it’s not greasy or oily, but “just nice,” while helpfully protecting my face from the harsh climate. Now that winter is coming, this will be an even more important part of my skincare. Made my skin feel softer than ever and very moisturized. Would definetly buy again. I think it’s pretty unique that this cream doesn’t come in a jar. It smells amazing and my face feels like porcelain afterwards. The idea of putting bee venom on my face totally freaked me out at first but then you try the products! I’m hooked. to see if there are any reactions to the skin: ie: rashes, bumps, and if it makes a difference to the skin after use. It does have a smooth finish. It is not too heavy either. I got the two samples while on a short visit to Las Vegas and in a hotel. Wrinkles and fine lines are a part of life and much like other women I started feeling insecure about getting them once I turned 30. I’m in my early 30s now and have been using this product as part of my daily skin care routine for about a 6 months and the results have been nothing less than great. The looks I get when I reveal my age are priceless! Not only does it make my skin feel fantastic and help reduce the signs of wrinkles but its an instant confidence booster! I never thought I would be 32 and feel better about my skin than I did when I was 22. I tried it for a couple of times and I love it. When you pay this much for a moisturizer, you expect a lot and honestly I feel like I got what I paid for. The packaging is to die for. So wonderful. What an amazing moisturizer. Rich and creamy. You can feel it’s goodness as soon as you smooth it on your face. I would highly recommend this product. 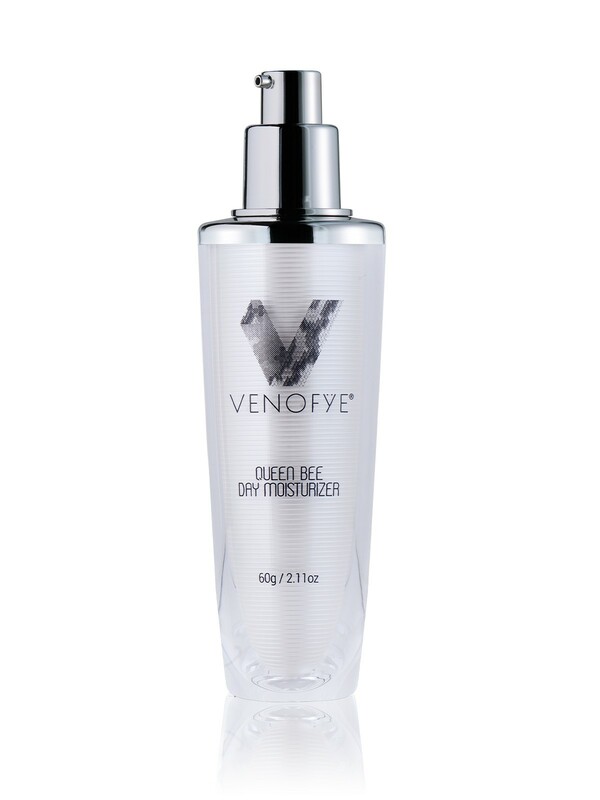 I have used the Queen Bee Day Moisturizer for two days and I love it! So smooth and doesn’t taste bad. I wish this face lotion had some sunscreen in it but I love it so much. It absorbs really quickly and doesn’t leave a greasy film like some other lotions do. It’s high end and super lux! Thanks Venofye! You made my winters (and life) that much better!! I bought this Bee Day Moisturizer from Valley Fair Mall in San Jose, CA. Sasha was helping us. She is very educational about the product. I started using the samples, because I have a sensitive skin. After couple of days, I came back and bought it. I normally mix it with my SPF moisturizer every morning. So far, my skin is loving it. It is expensive, but worth every penny. To me, it’s an investment to have a healthy looking skin. I received a free sample and after applying it my face was glowing. I instantly noticed the difference between my daily moisturizer and Queen Bee Day Moisterizer because after the first application my skin felt and looked amazing. Tried this product reluctantly. Found it to be the best yet. Smooths skin for perfect makeup application. 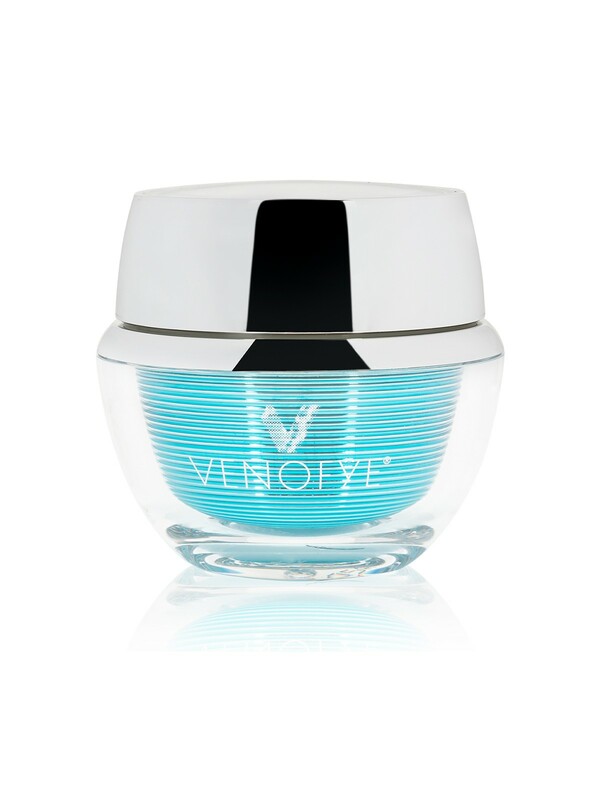 Look younger with this product. This moisturizer works miracles ! 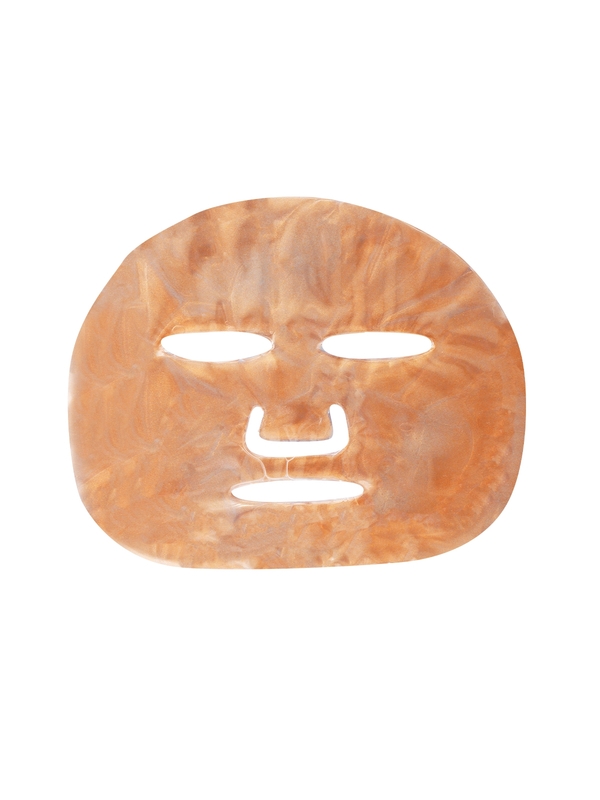 It is soft, firming, gentle and makes the facial experience like nothing else. Illuminating and shiny! 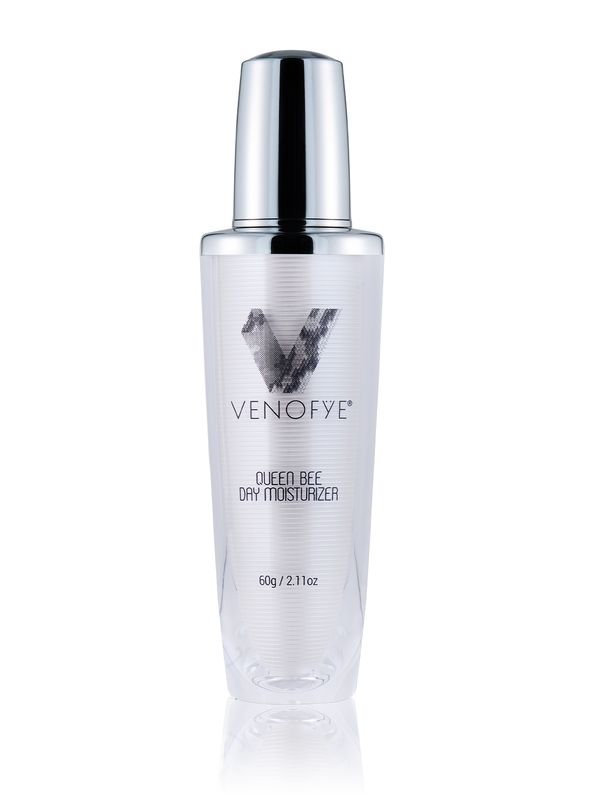 I spent the night at a girlfriends house recently and while we were getting ready I saw her apply the Venofye moisturizer. Let me tell you, shes’s the type of girl who ALWAYS gets compliments on her skin…ALWAYS so of course I had to try it out. I was sold instantly! This is not your typical moisturizer. It left my skin feeling silky smooth with an instant glow! Oh and the fragrance is AMAZING! I almost didn’t want to wear make-up that day. I can’t wait to get my hands on the rest of their collection! I was given a free sample of this moisturizer while I was at Las Vegas. I used it when I got home and I was so amazed. I am using it after taking a shower at night and I am so happy with the result. It is mild, not greasy and lasted all night long on my face. It is very refreshing. My wife is also using it and also very satisfied. Love it. Can’t afford it tho. Used a sample for a week. Best I’ve ever used. I’m over sixty so know what in taking about! What a difference in my skin! 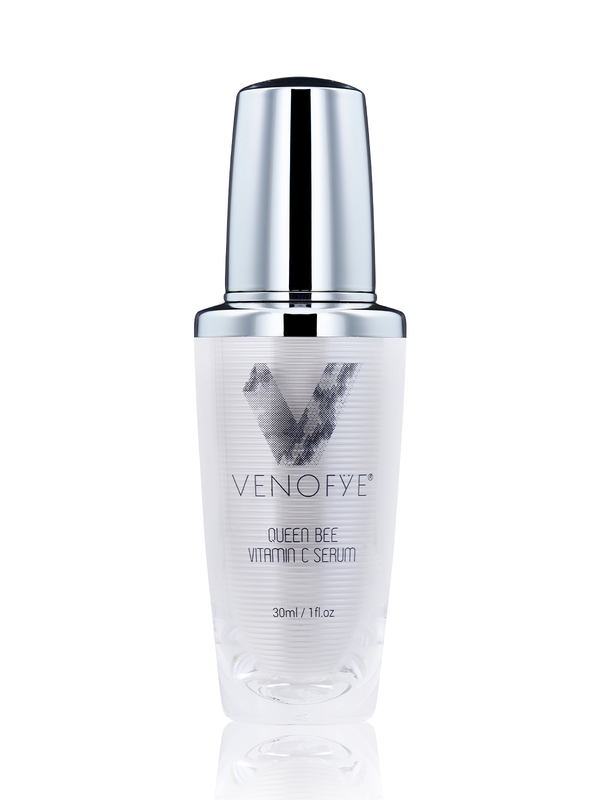 Recently while on a trip to Las Vegas I received a sample of Venofye Queen Bee Day Moisturizer, the saleslady asked me to come inside for a demonstration, however we were on our way to meet some friends and ended up not making it back to her store. I ended up trying the sample when I returned home and I LOVED it. I wish I could afford the $200.00 because I would really like to purchase some. If you are interested in this product at all I suggest you purchase it, my face was smoother, softer, and even my makeup applied better with this product. I am just on my second sample packet of this product. The first lasted 1 week, so I am on week 2. I have to say, I am impressed enough that I will most likely be ordering it! Do I want to pay $200? No. But I am alreadying liking the results. At the end of the second packet, I will take another picture and then make a final decision on whether to order. If my skin continues to improve (mostly my neck area but also mouth and around my eyes), I am sold! 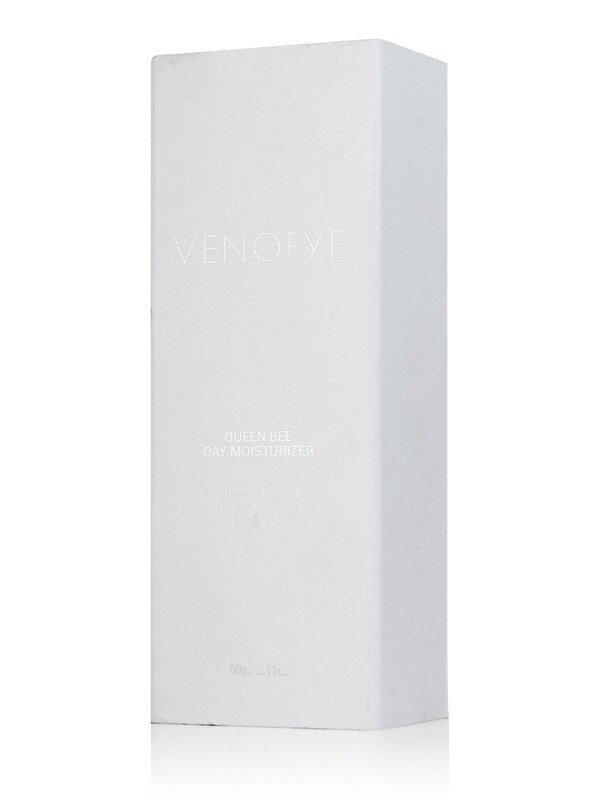 I received a sample of Venofye Queen Bee Day Moisturizer when I was walking through the mall in Las Vegas and you can definitely tell it is expensive. It feels thick and it feels so good on your face. I wish I could afford it.